Fueled by a multimillion dollar grant from the state's stem cell agency, researchers at University of California San Diego School of Medicine, in collaboration with local biotechnology company Oncternal Therapeutics, have launched a phase Ib/II clinical trial to evaluate the combined effectiveness of a standard of care drug with a novel monoclonal antibody that target B-cell malignancies, which include leukemias and lymphomas. The approach combines an experimental monoclonal antibody-based drug called cirmtuzumab with ibrutinib, a small molecule drug that inhibits Bruton's tyrosine kinase, a protein that promotes cancer cell survival and growth. Ibrutinib, marketed as Imbruvica®, is already approved to treat B-cell cancers such as chronic lymphocytic leukemia (CLL) and mantle cell lymphoma (MCL). Cirmtuzumab targets ROR1, a cell surface protein present on tumors but not on normal adult tissues — a distinction that makes it an attractive target for anticancer therapy. Cirmtuzumab is currently in clinical trials for the treatment of CLL. The objectives of the trial are to determine the safety of the combination, the optimal dose and regimen, and the duo's effectiveness compared to treatment with ibrutinib alone. "Specifically, we'll evaluate whether adding cirmtuzumab leads to more patients achieving a complete response compared to just ibrutinib," said Michael Choi, MD, assistant clinical professor and a member of the trial team led by principal investigator Catriona Jamieson, MD, PhD, deputy director of the Sanford Stem Cell Clinical Center at UC San Diego Health and director of stem cell research at UC San Diego Moores Cancer Center. "This is an important advance," said Thomas Kipps, MD, PhD, Distinguished Professor of Medicine and deputy director of research at UC San Diego Moores Cancer Center, whose lab developed cirmtuzumab. 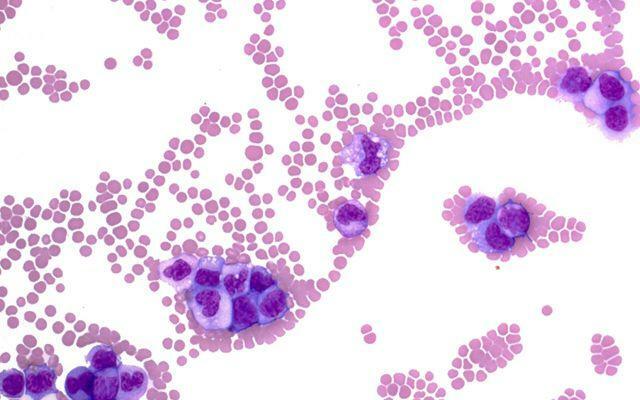 "Although ibrutinib is standard of care for patients with CLL or MCL, it is exceptionally rare for the drug by itself to completely eradicate all leukemia cells or produce long-lasting remissions in CLL without continuous therapy." "As a result, patients typically need to take ibrutinib indefinitely, or until they develop intolerance or resistance to this drug. Cirmtuzumab targets leukemia and cancer stem cells, which are like the seeds of cancer. They are hard to find and difficult to destroy. By blocking signaling pathways that promote neoplastic-cell growth and survival, cirmtuzumab may have complementary activity with ibrutinib in killing leukemia cells, allowing patients potentially to achieve complete remissions that permit patients to stop therapy altogether." The trial has started enrolling participants, with a goal of 117 at 15 sites across the United States, including the Alpha Stem Cell Clinic at UC San Diego Health, one of five advanced clinics in a network designated by the California Institute for Regenerative Medicine (CIRM), which warded the research team $18.29 million last year to conduct the clinical trial, scheduled to be completed in 2022. "The CIRM Alpha Stem Cell clinic provides additional staff support to the cancer research team and through its network facilitates the trial at other institutions in the state, making access to this innovative cancer stem cell targeted product and opportunity available to a large proportion of California residents," said Jamieson. "It's an exciting next step for cirmtuzumab," said Ingrid Caras, PhD, CIRM's senior science officer and associate director for therapeutics. "Our partnership with UC San Diego and the alpha stem cell clinics has enabled this trial to more quickly engage potential patient-participants. Being among the first to try new therapies requires courage and CIRM is grateful to the patients who are volunteering to be part of this clinical trial." B-cell malignancies are cancers of the blood. B-cells are a type of white blood cell or lymphocyte. They are part of the immune system. Some B cells produce antibodies to immediately help fight off infections while others, called memory B-cells, "remember" the pathogen in case of future infections. In B-cell cancers, mutated B-cells dysfunction or grow in an uncontrolled manner, resulting in diseases like CLL (the most common type of leukemia) and most non-Hodgkin's lymphomas. Cirmtuzumab has also shown efficacy against solid tumors. A clinical trial is planned to test it, in combination with the drug paclitaxel, for treating metastatic breast cancer. That trial is not yet recruiting participants. Cirmtuzumab's name is a nod to CIRM's long-standing support and research funding.